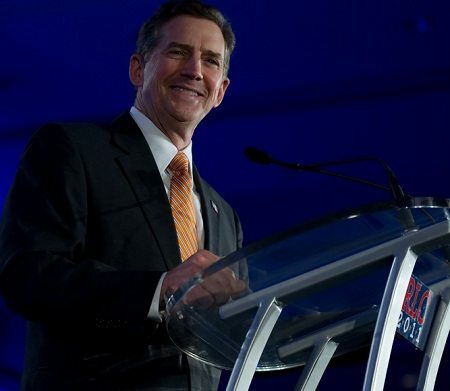 In the Washington Post, former Sen. Jim DeMint (R-S.C.) recently laid out his vision for the Heritage Foundation, where he took the leadership just this month. It shouldn’t be surprising, but his new agenda at Heritage will focus on marketing and messaging. DeMint is the son of an advertising man and ran his own market research firm until he was elected to the U.S. Congress in 1998. Citing Heritage’s core as focused on formulating and promoting conservative ideas, DeMint lists some of the ideas that entered American governance with Heritage paternity, such as the 1996 welfare reform law and missile defense systems such as the one deployed by Israel against Hamas missiles. Notably, he excludes the “individual mandate” portion of national health care reform, which also traces its roots to Heritage Foundation thinking. But there is something that doesn’t make sense in DeMint’s articulation of where he wants to lead Heritage. DeMint launches into an attack on President Obama for having “gutted” both welfare reform and missile defense, but contrary to DeMint’s thinking, the president has hardly “hobbled” these two programs. DeMint suggests that, going forward, “we must take our case to the people ourselves,” beyond political parties, to promote this political agenda. His essay continues in the vein of a political marketer selling an idea as opposed to a think tank leader helping people think about ideas. Rather than suggesting that we look to Heritage to generate more ideas about welfare reform, health care reform or other tenets of conservative thought, DeMint’s essay reads like it could have been written by a political consultant advising DeMint about campaign messages for Republican Senate candidates. It would be disappointing if Heritage, regardless of what you think of its politics, were to shift from thinking and idea-generation to selling and idea-promotion. Conservative ideas are needed, and not just for conservatives, but for liberals, too. The debate around ideas in the nonprofit sector is vital to the democratic process. Salesmanship and marketing work in campaigns, but do we need that out of the think tank world as well?